Let’s start with the most important point. The Coalition’s proposal to cut the housing benefit to social housing tenants who are deemed to be underoccupying is going to cause further hardship for households who are already poor and vulnerable. Reflecting on the experience of the WCA regime administered by ATOS, it is not beyond the realms of possibility that the changes will make life intolerable for some. The second most important point about the bedroom tax is that it is likely to lead to some housing associations going out of business as a consequence of rising rent arrears. This could spread the misery and uncertainty to a much wider group of households who are not directly affected by the changes to the rules on underoccupancy. And this story is going to begin to unfold for real in less than two months’ time, unless the government has a major rethink. But stepping back and looked at the issue from a more detached position the politics of the underoccupancy changes are interesting. The welfare reform agenda is made up of several distinct policy changes. Some of them are genuine reforms of the system – such as the move to universal credit. Some are simply cuts. All of these changes have be criticised heavily by those close to the social security system. But only the changes to the rules on underoccupancy – the so-called “bedroom tax” – seem to have gathered any political traction. And even here the momentum behind opposition is gathering rather late in the day. One reason for the failure of opposition to these reforms is the fact that the Government’s reworking of language – its version of fairness and its crude division of the world into skivers and strivers – strikes a populist note. It goes does well will the tabloids. The Government has done a good job of boiling their agenda down to a few simple, divisive messages that can secure majority support. It has been largely irrelevant that if more people better understood the detail of the changes they’d realise they are going to be affected directly. If they’d realised that then perhaps their support would have been less enthusiastic. The underoccupancy changes are pressed from the same template. The overarching message is plausible and seductive: the government shouldn’t waste money subsidizing people to live in accommodation that is more generous than is necessary to meet their needs. And the structure of financial support in the social sector should be better aligned with the structure of support in the private rented sector. One must assume that a proportion of the MPs who waved the policy into law didn’t get beyond those broad headline messages or examine precisely who would be affected. They presumed that the detail of the law embodies this principle. If they had dug a little deeper and discovered who was going to be affected then they might have been a little more circumspect. Because the way the new rules are going to work has been clear for a long time. 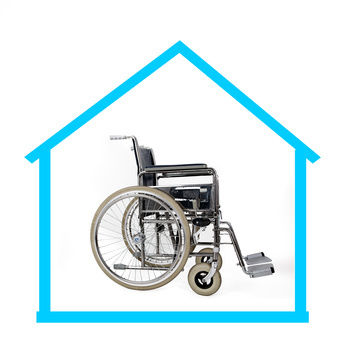 For example, a report by the Cambridge Centre for Housing and Property Research back in 2011 set out research evidence that indicated disabled people were the largest group affected. Cases such as foster carers or those with shared custody of children have been raised repeatedly. Organisations like We are Spartacus have been making the case that the policy is inequitable in its impact and will violate the human rights of disabled people. And bloggers like Joe Halewood have done sterling work in documenting the financial folly and detrimental consequences of the policy. Joe makes an important argument that the Government’s pursuit of parity between assistance in the private and social renting is fundamentally misconceived because private renting doesn’t do adaptations – so it is unable to accommodate people with impairments satisfactorily. But the messages have failed to get through. One interpretation of this is that while the overall purpose of the policy is plausible, the drafting of the rules has been incompetent because insufficiently sensitive to the exemption of deserving cases. But that sort of argument implies inadvertence or inattention on the part of legislators. Rather than explicit rejection of the case for a more sophisticated approach. Yet, that would be to let the Commons off too lightly. The Lords pointed out many of the problems, but were ignored. What has changed in recent weeks is that the mainstream media have brought the policy to life with a plethora of individual case studies demonstrating the injustice of the changes. This gives the policy a clearer emotional resonance and starkly lays bare its more horrendous consequences. It increases identification and empathy. These stories have broken through a generalised rhetoric about skivers and rekindled the idea of the deserving poor in a way that has not occurred with other components of welfare reform. Case study information from social landlords documenting the impact upon their tenants has also circulated more widely, as have refutations of some of the Government’s more glib statements about how households can cope with the reduction in benefit entitlement. One interesting aspect of the politics here is the use of the term “bedroom tax”. Clearly, the policy is not a tax, in the sense that it is reduction in the level of a subsidy rather than an increase in tax on household income. The use of the word “tax” is presumably intended to signal that this income rightfully belongs to the household and the government is illegitimately taking it away. Not dissimilar to the arguments used by the libertarian right. However, I’m not sure the premise – that this is income to which households have a right, and the Government is therefore unjustified in removing it – is as well-founded as the “bedroom tax” argument assumes. From the Government’s view it would presumably be seen as begging the question. Personally I agree with the premise. But, as I blogged the other day, I think we need to remake the case for access to adequate housing based on concepts such as human dignity, human capabilities, and human flourishing. But that isn’t a case founded on exceptions or focused specifically on households with disabilities. It is a case that needs to reaffirm the value of adequate housing as a fundamental building block of life for everyone.